`Spectacular Custom Single Family with Garage Parking! Located in Town Hill, one of Charlestown’s most sought after Historic Districts! New Construction in 2012! State of the Art Finishes throughout! 3 Bedrooms and 3.5 Baths! 2 Bedrooms with en suite baths! 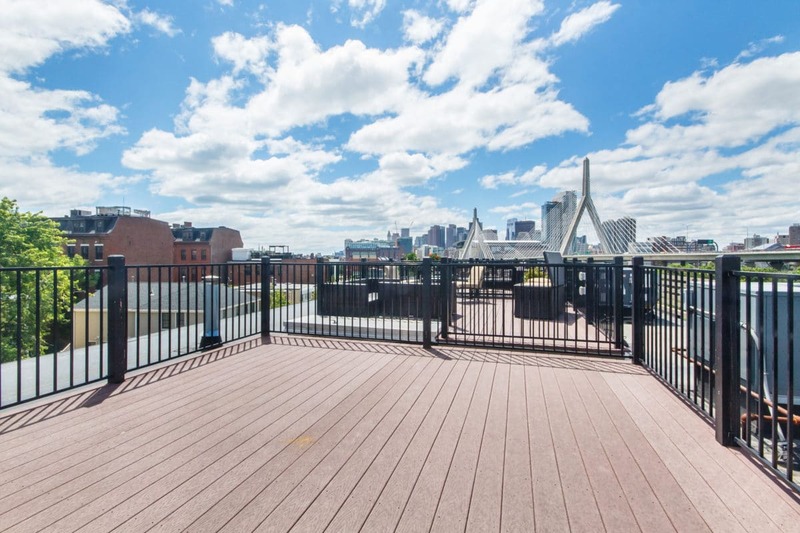 Large Sundrenched Courtyard, Deck with Gas Grill hookup & Huge Roofdeck with Jaw Dropping & Endless Skyline Views! Amazing Open Front to Back Living, Dining, Kitchen! The Designer Chef’s Kitchen offers abundant cabinetry, granite slab counter tops and enormous breakfast bar! Superior Appliances including a built in wine cooler & microwave drawer! Gleaming Hardwood Floors are In Every Room! Positioned for East & West Sunshine! Wonderful Floorplan for Easy, Graceful Living & Entertaining! Ipod docking system & Surround Sound built in Speakers! 2 Separate HVAC Systems for the maximum in High Efficiency! On Demand Hot Water! Full Basement Storage! A Truly Outstanding Home!